At Bridgeport Concrete Leveling LLC, we specialize in a variety of different concrete restoration methods, including sidewalk restoration. We offer sidewalk restoration for both residential and commercial purposes. Sidewalks can become uneven and dangerous due to soil shifting and other reasons, like age. When this occurs, restoration work needs to be done to restore them to how they were before the damage happened. This needs to happen due to safety problems and structural damage that can occur through the neighborhoods and other areas where the sidewalks are. If you know of a sidewalk that is having trouble, or want to restore your own sidewalk before something more serious happens, call us at (503) 808-0060 and we will get everything taken care of. We have been serving the Portland Metro Area for a number of years, with concrete resoration to make it look like new again. When conditions are not satisfactory, a sidewalk can sink and shift with the soil underneath, making the surface uneven and making the sidewalk dangerous for pedestrians to walk on. The shifting can also result in additional damage being done to the surrounding foundations and structures on the road. That is why we utilize a variety of different methods to ensure the sidewalk we work on is fully restored and that every concrete repair in Portland is structurally sound. Sidewalks are very important to city life, as they are where pedestrians walk every day. 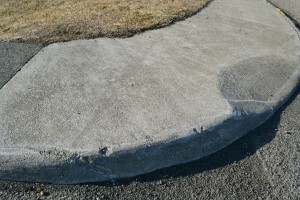 The amount of traffic can take a toll on some sidewalks, and the result is that they are left in a broken condition. Mixed with the shifting soil and adjustments from the foundations, sidewalks can take a significant beating over time. If you notice a sidewalk in the Portland Metro Area that could use work, give us a call at (503) 808-0060 and we will restore the sidewalk to make it look like new. Our friendly concrete contractor Portland staff can handle a variety of concrete restoration jobs. No matter the condition of the sidewalk, we can make it look like new again. 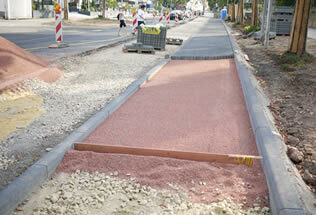 We have a number of years of experience working with sidewalks, and our knowledge is always increasing. Our number one concern is the complete satisfaction of our customers, and we will constantly strive to give you the highest quality service available. No neighborhood should have to deal with eroding and unsafe sidewalks. Contact us to fix those sidewalks today. If you have a sidewalk with slabs that are sinking and settling in weird position, let us get a hold of them and straighten everything out evenly. Our sidewalk work will restore those sidewalks to level pathways that are safe for pedestrians and surrounding structures. Do not wait until serious damage comes around. Call us today and we can restore the sidewalks to good condition, fixing current problems and preventing future problems. Contact us today!